Much of the research involving concussions, chronic traumatic encephalopathy (CTE), and their long-term implications has focused on football and hockey players. But there’s another group of helmeted athletes out there that we need to study, and Dale Earnhardt Jr. is going to help them out. He went on to say that he’ll be “donating everything one way or another,” which definitely seems like the way to go in general, but especially in the race car world, which is riven with bittersweet stories about race car drivers donating their organs. Justin Wilson, an IndyCar driver killed during a race last year, saved the lives of at least six other people with his own organ donations. Of course, donating a brain is a little different from donating other organs, as it’s not used to save lives in the immediate. But CTE research is hugely important, as the progressive degenerative disease can lurk for years, if not decades, in the brains of people who have received severe blows to the head. It can first show itself with signs as mild as headaches and dizziness, before displaying itself as full-blown dementia in its latter stages. Some athletes don’t even wait until their natural deaths to donate their brains to research. Both Dave Duerson and Junior Seau committed suicide with self-inflicted gunshots to the chest, and both were diagnosed with CTE after their deaths. 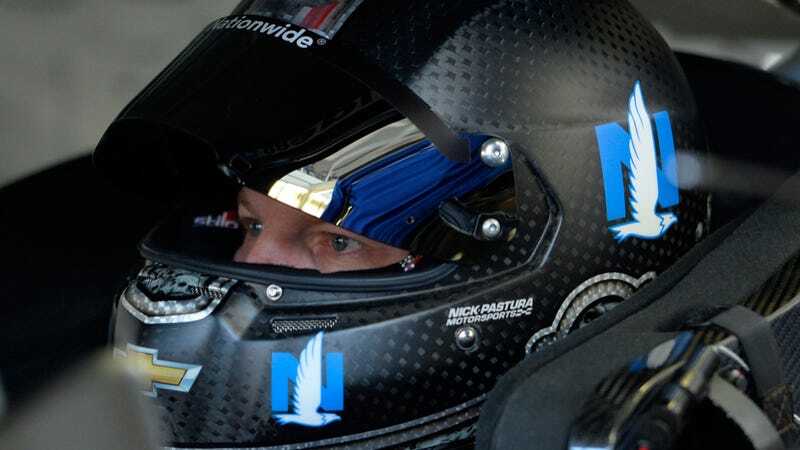 Both the NFL and the NHL have made noises about dealing more strongly with concussions and CTE, but numerous articles have pointed out that NASCAR drivers are unusually unsupported in the fight against head injuries.